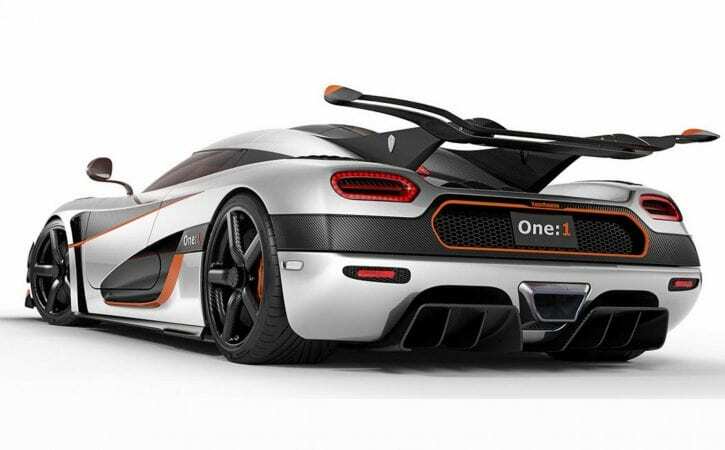 Today, we have learned the Koenigsegg One:1 is heading back to the Nürburgring. The Nordschleife’s speed limits have been lifted, and Mr ‘Segg is ready to claim the road car record for himself. So our Classified of the Week could only ever be one thing. What you see here is Koenigsegg’s development car, one of just seven One:1s built, the other six all production-spec cars. So this is One:1 number 00, if that makes any sense. It’s the car that dropped jaws at the 2014 Geneva motor show, and it’s also the car the Christian von Koenigsegg and his team used to develop all manner of eye-widening tech. So the car’s active chassis and aerodynamics (4G and geo-tagging enabled, no less), its variable geometry turbocharging (the catalyst of the One:1’s 2.8-second 0-62mph time), many 3D printed parts and the mighty 1,340bhp engine were all honed with this very car. It’s also the car that set the lap times which established the One:1 as the fastest production car to lap both Spa and Suzuka. It would appear the hard work it has already put in excuses it from the more punishing task of plunging below 6m48s at the Nürburgring. Technology and bragging rights abound, then. And so the price. It’s six million dollars. Crunch that through a converter and it ends up at £4.1million. That is a lot of money, but it’s buying a heck of a lot of car. Should you be interested, and have an appropriately valuable trade-in to offer, the you need to speak to SuperVettura in Surrey. Clearing a spot in your dream garage?